1. Make the 3-4 pancakes of desired size. 2. Spread match sauce between the layers of the pancakes. 3. 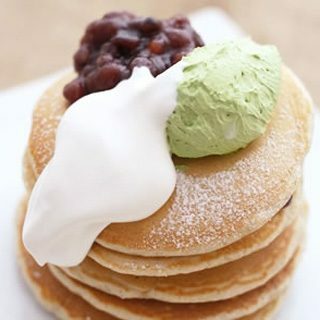 On the top of the pancake, decorate it with azuki beans, matcha ice cream and fresh cream. 4. Sprinkle matcha tea poder on top.